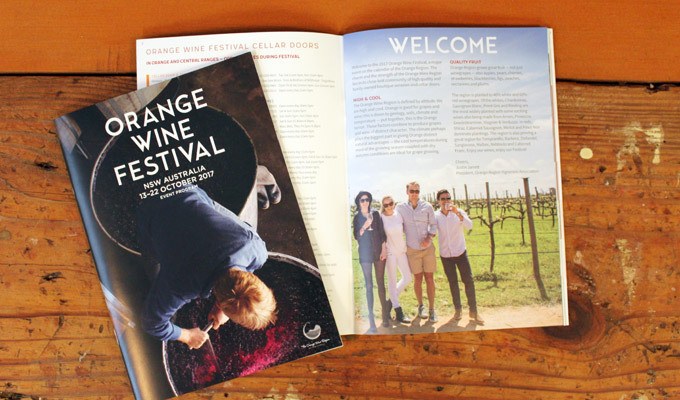 Orange Wine Festival’s 2017 hero image was themed around our cool climate wines’ current vintage [picked earlier this year]. The call was put out to members by Orange Region Vignerons Association for stunning photos of their vintage. The shot that took pride of place on the cover is James Sweetapple, Cargo Road Wines, plunging the last batch of Zinfandel 2 May 2017.